Don’t call them parachute pants. "I detest the term," Stanley Kirk Burrell, better known by his stage name of M.C. Hammer, told Racked in 2016. "They’re called Hammer pants." As a colloquial term, Hammer is correct. Since breaking on to the hip-hop scene in 1990 with the chart-topping tune "U Can’t Touch This," the performer has been synonymous with the flashy pants—billowy trousers that droop in the crotch and taper to the lower leg—and has inspired many fashion designers and fellow recording artists. While Hammer has done more to entrench the pants in the public's consciousness than virtually anyone, he was not exactly their originator. Harem pants, parachute pants, or his preferred term of "Hammer pants" all have origins that can be traced back to the mid-19th century, with a radical feminist movement and the fashion sense found within Swiss sanitariums. Although baggy, voluminous trousers initially appeared in Persia, India, and Turkey thousands of years ago, the most direct lineage of today's Hammer pants may have started with women who began insisting on more practical garments in the 1800s. In the Victorian era, women’s fashions were rather restrictive, with tight belts, bodices, and corsets squeezing their bodies. When a New York socialite/women's rights activist named Elizabeth Smith Miller traveled to Switzerland in the mid-1800s, she noticed that patients in sanitariums favored baggy pants worn under shortened dresses that made exercising and moving around easier. When Miller returned, she spread the word; so did fashion magazines and other forms of media that further popularized the idea of loose-fitting trousers. Amelia Bloomer—editor of The Lily, America's first newspaper created for and by women—was an early advocate for this unconventional method of dress. Writing of the "freedom dress" in her own magazine, Bloomer (who inspired the term "bloomers") encouraged women to wear pants that didn’t bind the legs and to comment on the gender disparity between men's and women's fashions. For the latter reason, these "Turkish Trousers" never fully caught on: Some women simply didn't feel comfortable emulating a man's attire. It wasn’t until 1911, when fashion icon Paul Poiret introduced a version of the pants dubbed "harem" trousers, that women were once again intrigued by the freedom of movement they allowed. The pants enjoyed sporadic revivals over the next several decades, but their next major fashion wave wouldn’t occur until Burrell decided he needed to stand out on stage. Born in Oakland, California in 1962, the future M.C. Hammer had designs on playing major league baseball before being seduced by the performing arts. Going to discos in the late 1970s, he discovered that it was easy to capture attention with his fluid dance moves—which he accentuated by buying triple-pleated zoot suit bottoms that were so large they drew an audience all their own. "The looser the pants, the more accentuated your dancing becomes," Hammer told The New York Times in 2008. Eventually, the discos gave way to club dates—then to a record contract. In 1990, Hammer was being dubbed one of Entertainment Weekly's "Entertainers of the Year" and managed to move more than 8 million copies of his album, Please Hammer, Don't Hurt ‘'m. 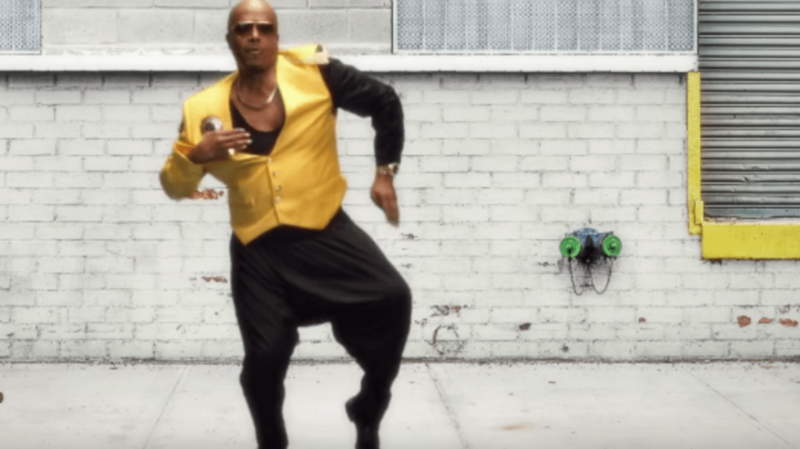 Hammer's popularity gave him the financial means to have his own outlandish harem pants custom-made, and they became touchstones of his music videos, live performances, and contribution to fashion. Vanilla Ice, who was garnering his own fame at roughly the same time as Hammer, once boasted that his record label paid him $1 million to wear Hammer pants during a show. "You can make a fashion statement," Hammer told ABC News in 2009 of his penchant for loose-fitting pants. "You can move in 'em. You can dance in 'em ... and it gives you freedom of movement. It's a slight delay. You move, and then the pants move, so it brings a nice little flair." "I don't think we gave that [style of] pant enough of a shot," Gosling said during an appearance on The Graham Norton Show. "We gave up with M.C. Hammer, but we should have kept them going."